Mythic Delirium Books, 9781732644007, 224pp. "I was expecting this to be good, but it's wonderful. Seeing these pieces together makes me realize what a vivid, authentic and important voice Goss is. These are real fairytales, magical, unsettling, touching, and brilliant. I loved every word." "As a Hungarian-American raised on Hans Christen Andersen and the Brothers Grimm, Goss takes obvious delight in reweaving classic European folk tales to reveal new, often deeply feminist, perspectives . . . This toothsome collection is best read in one go." 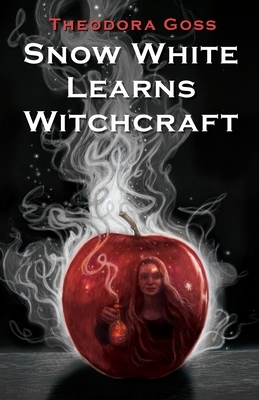 A young woman hunts for her wayward shadow at the school where she first learned magic--while another faces a test she never studied for as ice envelopes the world. The tasks assigned a bookish boy lead him to fateful encounters with lizards, owls, trolls and a feisty, sarcastic cat. A bear wedding is cause for celebration, the spinning wheel and the tower in the briar hedge get to tell their own stories, and a kitchenmaid finds out that a lost princess is more than she seems. The sea witch reveals what she hoped to gain when she took the mermaid's voice. A wiser Snow White sets out to craft herself a new tale. In these eight stories and twenty-three poems, World Fantasy Award winner Theodora Goss retells and recasts fairy tales by Charles Perrault, the Brothers Grimm, Hans Christian Andersen, and Oscar Wilde. Sometimes harrowing, sometimes hilarious, always lyrical, the works gathered in Snow White Learns Witchcraft re-center and empower the women at the heart of these timeless narratives. Science Fiction and Fantasy Writers of America Grand Master Jane Yolen, in her introduction, proclaims that Goss "transposes, transforms, and transcends times, eras, and old tales with ease. But also there is a core of tough magic that runs through all her pieces like a river through Faerie . . . I am ready to reread some of my new favorites." "Theodora Goss re-fleshes and re-clothes old tales in multifarious ways. Sometimes the stories' new garments are classic and mythic, sometimes they're up-to-the-minute, twenty-first-century creations, fresh cuts and colors that bring new truths from the underlying structures. Through prose and poetry, Goss shines her unique light into the fairytale forest--and many bright eyes gleam back." "Theodora Goss's Snow White Learns Witchcraft is a gorgeous, lyric collection of fairy tale retellings. Goss has the ability--the witchcraft--to be able to see the heart of the tale, and show it, polished and reflected and new, to the reader. I loved these stories and poems, their wildness, their beauty, their truth." "With each story, Theodora Goss weaves new myths from the threads of childhood and legend. This collection does what the best songs and poems and spells do: slips gently into your consciousness, then slowly changes the way you see the world. A wonderful addition to Goss's works."